There are hundreds of cartridge types capable of winning in F-Open. For F-TR you can shoot either the .223 Rem or .308 Win, but you have many load options. 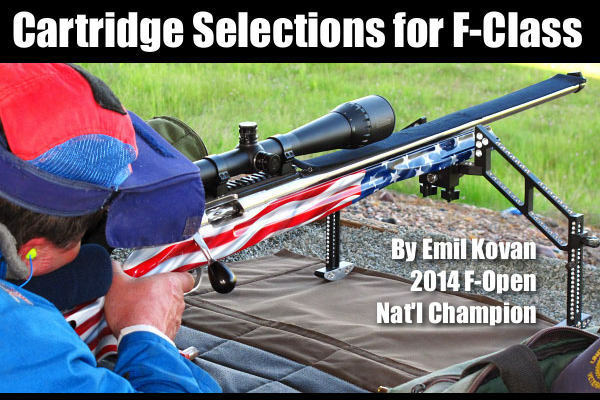 This article will focus on proven choices, currently used by the top F-Class shooters in the world. Our discussion will analyze cartridge selection based on the four different F-Class sub-disciplines: Open Mid-Range, Open Long-Range, F-TR Mid-Range, and F-TR Long Range. Click image to view full-screen photo. For starters, a .300 WSM is certainly capable of winning mid-range matches but it is not ideal. So what is ideal, and why? F-Class Mid-Range matches usually are usually shot at 300, 500, or 600 yards — or all three. At those distances the 6mm and 6.5mm cartridges rule. In moderate conditions, the 6mm Dasher is unbeatable. Its low recoil along with its super grouping ability and good ballistics make it my number one choice for Mid-Range. Best bullets for the 6mm Dasher are: Vapor Trail 103gr, Berger 105 Hybrid, 108 BT, and 105 VLD (hunting). Best powders are: Varget, H4895, and Reloder 15. We all know that conditions are not always “moderate” that’s why something a little bit bigger will save you a “Nine” or two. 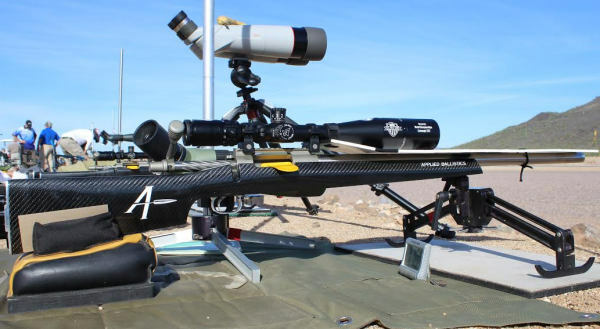 The 6.5X47 Lapua was designed for 300-meter competition, but as soon as it was released, it was adopted by F-Class, benchrest, and tactical shooters. It offers great ballistics with very low recoil and big “accuracy window”. Lapua makes great brass for it (no surprise there) and Berger makes great bullets: 130gr VLD, 140gr VLD, 140gr Hybrids. Best powders in most barrels are Varget and H4350, I don’t use double-based powders such as Reloder 17 and the Vihtavuori N500 series because of their unpredictable performance day to day (greater temp sensitivity). The 6.5X47 Lapua necked down to 6mm is also a great option for mid range matches. I was able to easily get 3200 fps with 105 hybrids and H4350. In Long-Range F-Open Class (out to 1000 yards), the big, high-BC bullets rule. If I had to pick one cartridge for F-Class (both mid- and long-range) I would pick the .284 Winchester or one of its variants. The .284 Win is currently dominating in F-Open competition. It offers great barrel life, it is super-easy to tune and its recoil is very manageable. The best bullets for it by far (in my opinion), are the Berger 180 Hybrids. But Sierra’s new 183gr MK bullet (with factory-uniformed meplats) seems to perform very well as does the Berger 180 VLD. Best powders for the .284 Win are H4350 and H4831SC. As much as I like the .284 Win, for long-range competitions I like the .300 WSM even more. If you look at a .300 WSM and a 6mm Dasher side by side, they appear almost identical in geometry — the .300 WSM looks like an “super-sized” Dasher. Both cartridges are currently the “darlings” of long-range benchrest due to their extraordinary grouping ability and huge “node’’ windows. Big accuracy windows allow loads to perform well in different conditions and geographical locations. That’s obviously very important if you travel to compete. The .300 WSM loaded with Berger 215gr or 230gr Hybrids is very tough to beat at long range, and it is currently my number one choice. The 7mm RSAUM is another outstanding long-range round. It resembles a 6BR on steroids and it is almost as easy to tune. Best bullets for it are Berger 180gr Hybrids, 195gr EOLs, and Sierra’s 183gr MatchKing. Best powders for the 7mm RSAUM are: H4350, H4831SC, and VV N160. 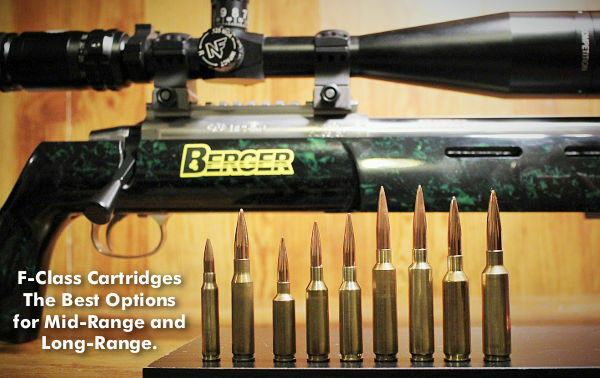 In F-TR competition, the choice is clear — a .308 Win throated for Berger 185gr BTLRs and 200gr Hybrids will win in mid-range AND long-range comps. Many championships have been won, and many records set with those two bullets in the .308 Win. To quote Danny Biggs (a two times FTR National Champion) “The 185 BTLR is the best bullet for .308 Win ever made”. I recommend chambers throated for the 185/200 grain projectiles over the 215/230 grain bullets. The reason is that if you have your barrel throated out for the 215s or the 230s, you could have a “slow” barrel and max out on pressure before the desired velocity is reached. Optimum freebore for the 230s is too long for the 185/200s, so you would be limited to using only 215/230gr bullets in that barrel.Furthermore, the recoil increase with heavier bullets is substantial, causing the rifle to be more difficult to shoot. 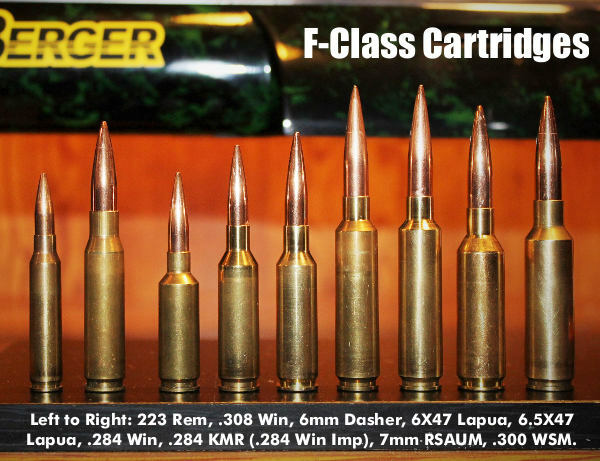 Share the post "The Best-Performing Cartridge Types For F-Class Competition"
Good conclusion on the .223 versus the .308. It just doesn’t happen beyond 600 yards. The .223 may not do well beyond 600 but it will do just fine getting there. What about the .260 Remington and the 6.5 Swede? Brilliant summation and I totally second his recommendations, particularly in regards to the 223. I have seen so many internet ninjas try and sell others on the virtues of the 90 grain bullets, but those that want to compete to win place or show should heed this advice. I agree the Dasher is sublime, but still have a fond spot in my heart and a rack full of trophies that give credit to its venerable ancestor, the ubiquitous 6mmBR Norma. So nice to see a fellow with your credentials giving such solid advice!! In the last year I have won the NE State F-TR MR Championship, the CA State F-TR LR Championship, and the MO State F-TR MR Championship, as well as numerous local F-TR matches. 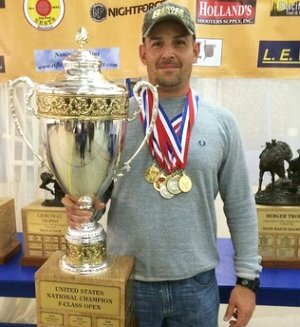 All of these wins were made shooting a .223 with Berger 90 VLDs. Good thing I never read that the .223 isn’t competitive. The fact is that when loaded properly, the 90 VLDs will outshoot most any lead core .308 bullet made up to ~185 gr out to 1000 yd on paper, and I’m referring to the most important paper there is, the paper covering the target face. The ballistics are simple physics, not magic. In addition, how many shooters have tried moving up from 185s to 200 or 215 Hybrids in .308 Win only to find they’re losing more points to vertical than they’re saving on windage because they simply can’t effectively manage the recoil. People are all too often happy to mistakenly poo poo the ballistics of the 90 VLD, but they usually also fail to take into account the almost complete lack of recoil that can dramatically facilitate precision. I have no problem with that. I’ll keep shooting them…and winning. The miss stating that the .223 in not a competitive round needs to take a look at the 2016 California state Palma class champ. The guy took first and even beat the FClass guys in score. The intent of the article was to advise and inform new shooters , and lesser experienced shooters as to the most popular calibers being used in the “F” classes .And the basic “why” they are popular . Not to “diss” any particular caliber .At least that’s the way I read it . The amount of time , money , effort and energy a new shooter could expend trying to make a .223 viable for the “F” disciplines’ could easily drive them from the sport . So I’d rather see someone working with a 6.5 or .308 than lose that person to the shooting sports . 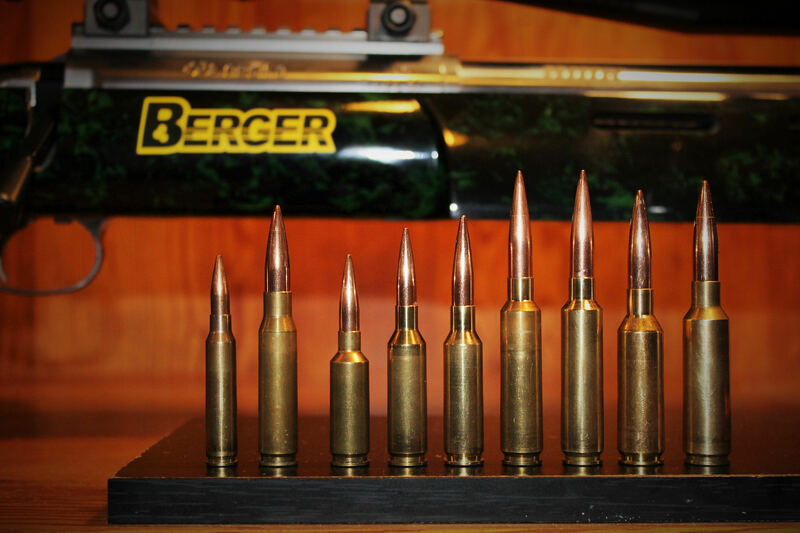 I spend a lot of time at the Berger range , at Ben Avery , and I see a lot of 6.5’s and .308’s . The .223’s ? Not so much….Go figure . Would you share with us the makeup of your rig? gstaylorg, Would you share with us the makeup of your rig? We have a .223 running 90gr SMK’s with Varget and a 30″ Krieger 1:675 twist barrel. Trued, Remington 700 action and an Elisio stock (thanks Gary). Fully cable of cleaning a 500 year target (heck my 11 year old did that). And it shoots well withing 3/4 MOA at 1,000. Now if I was just a better wind reader…….